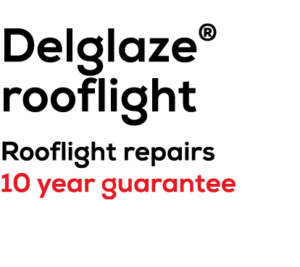 Working in exclusive partnership with Delvemade, Sharmans range of roof coatings and repairs bring up to 20 years of trusted performance. Endorsed by leading steel manufacturers and specified in confidence by building surveyors and property managers, they are engineered specifically for the industrial roofing environment. 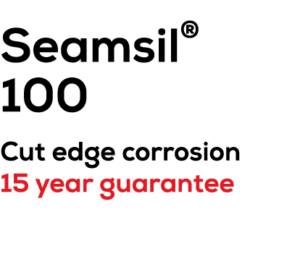 Seamsil 100 metal protection system is designed to provide an effective solution to the problems of corrosion at cut edges and overlap joints on all types of profiled metal roofs. 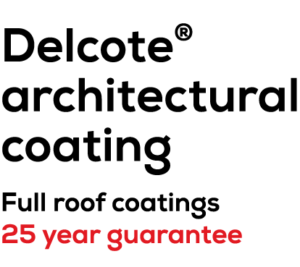 Delcote Architectural is an inorganic (mineral-based) coating with outstanding resistance to weathering from UV, rain, snow and temperature extremes to retain high movement accommodation, flexibility and adhesion without cracking or peeling. 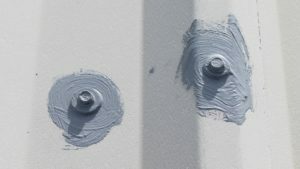 Delglaze is based on a unique blend of polyurethane resins to produce a coating which provides a tough, durable finish with a degree of impact, erosion and weather resistant properties. 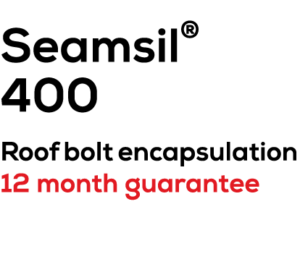 Seamsil 400 is a silicone based system engineered specifically to prevent further corrosion of roof sheet bolts and fixings by providing a temporary, protective elastic seal.